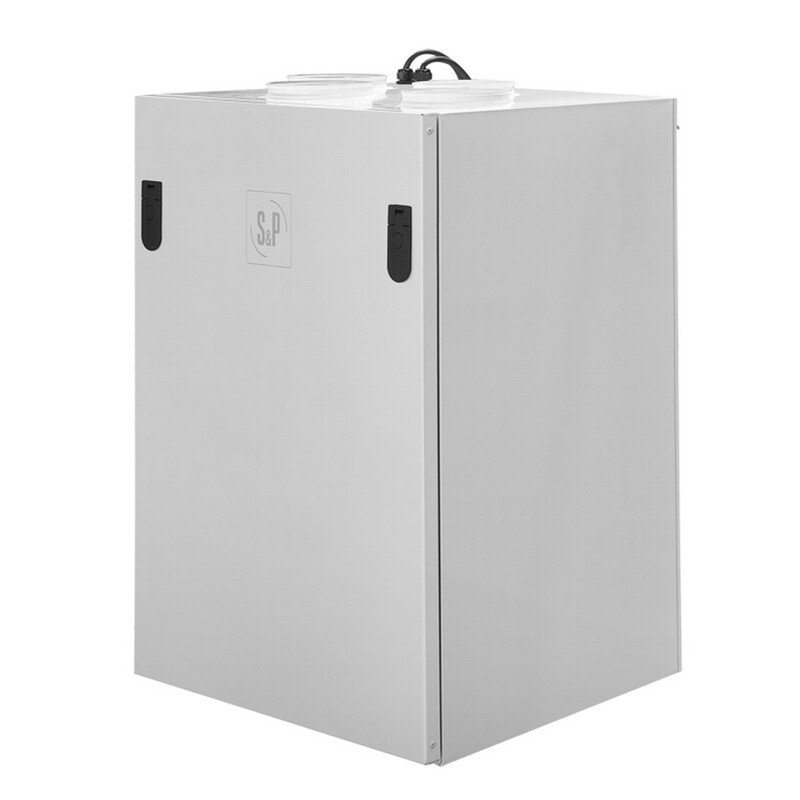 Plug & Play whole house heat recovery unit with a high-efficiency aluminium heat exchanger up to 92% and low consumption EC motors. The casing is made of 25mm thick, self-supporting double skinned mineral wool isolated panels. The outer and the inner skin are white coated RAL 9003. Easy access to all components via the front door. Ensures a constant supply of fresh air and the exhausting of the waste air. To optimise energy consumption at the same time as air quality, a proportional sensor can be connected (C02, Humidity). It includes a 100% by-pass, which allows free cooling during the summertime. To ensure a good air quality, the unit is equipped with a M5 filter at the inlet and a M5 filter at the outlet to protect the heat exchanger. It is possible to fit an additional F7 post-filter (accessory). -M5 filters on the fresh air and the exhaust air sides to guarantee clean air and to protect the heat exchanger. -F7 filter can be installed optionally. -White coated galvanized steel casing of 25mm thick. -Self-supporting double skin acoustically and thermally insulated panels. -High-effcient backward curved centrifugal impellers (Bmax) with low consumption EC motors, single phase 230V, 50/60Hz. -High-efficient aluminium counterflow heat exchanger. -100% automatic or manual by-pass.